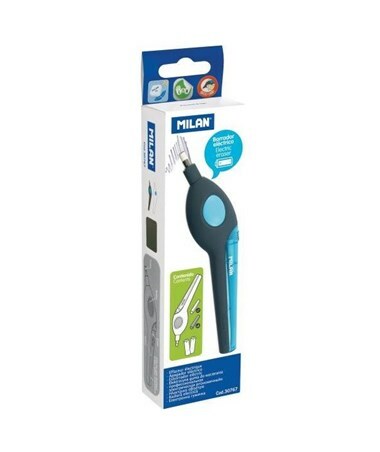 The Milan Battery-Powered Eraser is a versatile and efficient tool designed for easily erasing both graphite and ink markings. 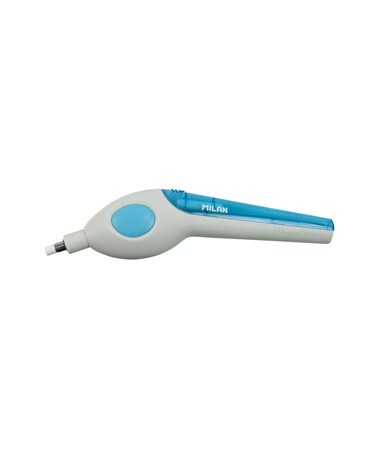 Ideal for students and professionals, it features an ergonomic handle to ensure comfortable use. 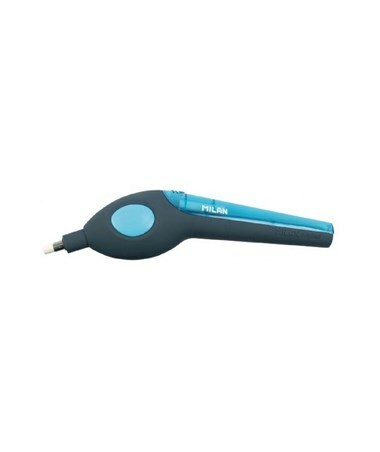 This battery-operated, handheld eraser is equipped with easily accessible On/Off button to provide maximum convenience and accurate erasing. The Milan Battery-Powered Eraser is readily usable. 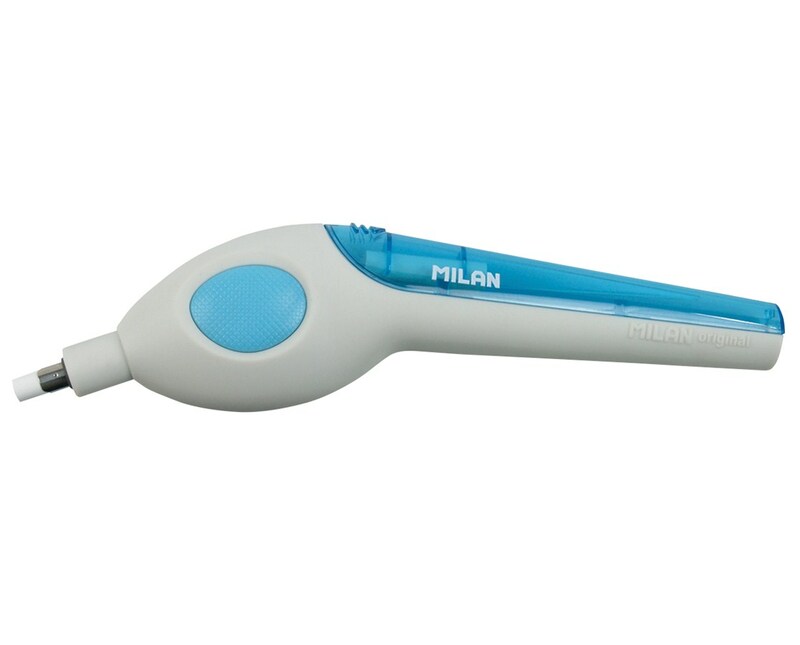 It comes with refillable erasers: seven white erasers for erasing graphite and four blue erasers for removing ink marks. It requires two AAA batteries to operate which are also included in this package.